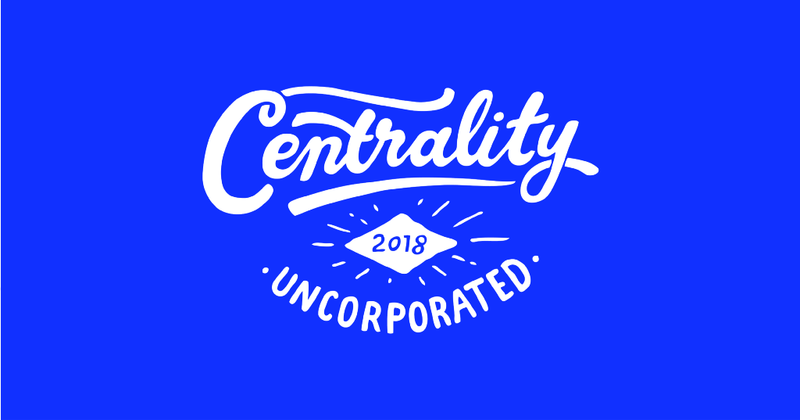 To stay up-to-date on the progress of Centrality’s ecosystem, follow us on Twitter and our Telegram Announcements channel, plus join our community on Centrality’s Official Telegram, Facebook, LinkedIn, Instagram and Reddit. We have a new look! Say hello to Centrality’s new brand identity, which has evolved to better fit our vision of creating a better, bolder future. Over the past two years we’ve made some real progress on who we are. We’ve grown into a team that crafts up big ideas and gets sh*t done. It was important to us to ensure that Centrality evolves both how we sound and how we look to fit with our dynamic team. We came across an opportunity to capture who we are at the heart of things. Our team may have grown but we’re still a little wild at heart. We’re anti-establishment — the underdog advocating for a system that takes power away from institutions that are capturing more than their fair share of wealth. Instead, we’re empowering people to help redistribute that wealth back to the community. That being said, Centrality is still staying true to what we outlined in our whitepaper. We’re contributing towards a fairer decentralised economic model. We’re taking the power away from the institution and delivering it to the individual. We’re building the tools and technology to turn these ideas into reality. We’re an agile, cutting-edge and dynamic startup that stays ahead of the curve with the changing pace of innovation. We believe in moving to a new world, one of a fair value exchange where value is given and value is earned.